They came, they learned, they polished their already strong book ideas. Fresh off our Get Published! Writers Retreat at the luxe Willows Lodge, we are in awe and inspired by each and every one of our attendees. From children’s picture books to memoir to alternative history, these aspiring authors dove in from the get-go, developing book proposals and query letters, and in the process strengthening their projects. Based on the feedback and the energy in the room, we helped each and every one of them. In return, they inspired us. Every single time we teach a class or host a retreat, we get invested in helping our clients’ and students’ books be all they can be. Some folks come in with a polished, “finished” manuscript and yet we help them step away and look at their project with fresh eyes, which inevitably leads to a more thought-out and creative submission. Other writers are still kicking around several ideas but almost immediately, they focus in on the one that feels right for them and the marketplace. Regardless of where they were starting from, all left with a proposal-in-progress and the beginnings of a compelling query or cover letter. As for the two of us, we left more committed than ever to helping writers realize their publishing dreams. To that end, we’ll be scheduling more workshops in the coming months and expanding our offerings to include individual consultations, proposal writing, and more! During our six years of publishing consulting and 40-plus years of combined publishing experience, we’ve culled some tips that might seem obvious at first blush but are often overlooked in the rush to submit what you are sure is a guaranteed best seller. Slow down there, boss, and take a breath. Review our tips and strengthen your submission and chances of a book deal. Research other books that could be considered competion, become an expert in your genre and on your topic, visit bookstores or libraries (yes, in person! ), and learn which publishing houses and agents specialize in your particular genre or subject matter. 2. 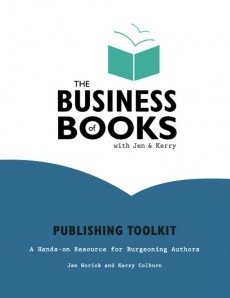 Do think of publishing as a business. Your book is your baby, yes, but it’s also a product to be bought and sold in a marketplace filled not only with books but other forms of entertainment (apps, movies, music, etc.). It’s critical to be business savvy and approach a publisher with a compelling pitch and attitude that conveys that you are ready to partner with them on a lucrative business venture (i.e. your book). You have got to believe in your idea and your vision! Don’t be shy. Sell it. If you are not absolutely committed to your book project, why would anyone else be? But a note of caution: being confident is terrific, being cocky is not. Don’t claim it’s a “guaranteed best-seller that will outsell The Lord of the Rings Trilogy/50 Shades of Grey/The DaVinci Code;” rather, explain with specifics why your book will perform well for a particular publisher. Is it similar to another book on their list that has done well? Will it appeal to a demographic that the publisher already dominates? The more specific you can get about why you are approaching them in particular, the better. Every famous author from Dr. Seuss to J.K. Rowling to F. Scott Fitzgerald has had multiple rejections. Keep going. This is where that confidence and unwavering belief in your project comes into play. We always remind writers that publishers and agents are looking for you, too, and first-time authors get book deals every single day. We have the success stories to prove it—our clients have killer book deals in a variety of genres, ranging from children’s picture books to memoir to fiction to coffee table books to nonfiction. 5. Do write a killer book proposal. Your proposal is your business plan. Creating a great one is vital to selling your book in today’s market. Contact us at jenandkerry@gmail.com to learn about upcoming events, 2-on-1 proposal reviews, our Publishing Toolkit, and other services we offer to help you write the best possible proposal. We’re here to help your publishing dreams become a reality! Writers of all genres and levels are welcome. Whether attendees have a glimmer of an idea or a polished draft, our one-of-a-kind immersive workshop will push you to move your book project forward in a significant way—and enlighten you on how the business of publishing really works. In addition to luxurious accommodations, guests will receive a welcome amenity, meals courtesy of the renowned Barking Frog, and all workshops, as well as our exclusive Publishing Toolkit (a $99 value) to take home. Book early! Through December 15, earlybird pricing for “Get Published!” starts at $870 per person including tax and is based on double occupancy. Complete details can be viewed on the Willows Lodge website here. After December 15, prices increase $100 per person. To make reservations, please contact Shaina Phillips at 425-424-2965 or shaina.phillips@willowslodge.com. It’s true. It’s a smart idea to start your book proposal even while your manuscript is still in progress. Over the weekend of January 23–24, 2016, join us for a one-of-a-kind publishing retreat for aspiring authors at Woodinville’s award-winning Willows Lodge! Whether you have a glimmer of a concept or a polished draft, we have structured the two-day retreat to help you get published, no matter your genre. During this practical and inspirational weekend, you’ll be treated to hands-on workshops and receive individual attention to move your book project forward in a significant way. You’ll leave the weekend with your proposal, query letter, and submission plan well under way. To make your reservation, please contact Shaina Phillips at 425-424-2965 or via e-mail at shaina.phillips@willowslodge.com. There will be a 7 day advance cancellation policy and package price will be charged at that time. 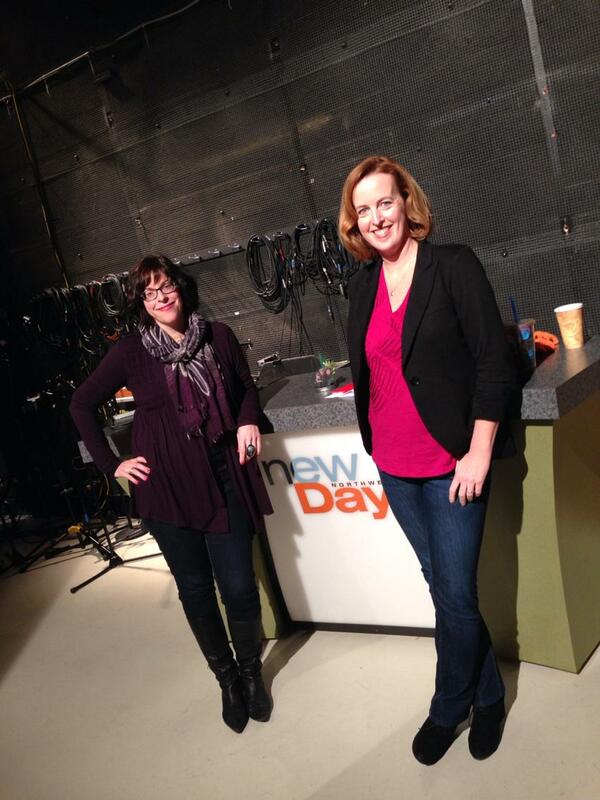 We had the pleasure of talking with Margaret Larson on New Day Northwest this morning about resolutions that matter, namely getting a book deal in 2015! To that end, we talked about our upcoming retreat, Women & Words at Willows Lodge. From January 31–February 1, women are invited to come to the Willows Lodge in Woodinville and refocus on their book project. No matter your genre or where you are in the writing process, our publishing retreat will give you all the tools and intel to complete a slammin’ proposal and submit with confidence in short order. Nothing makes us sadder than thinking about unsubmitted manuscripts. We demystify the process and break everything down into doable, digestible tasks you can complete in just a few weeks. We promise. Check out our New Day Northwest segment here. We’ve got the perfect gift for you or the writer in your life! With the holidays behind you, refocus on you and your book proposal in the new year. We are hosting a publishing/writing retreat at Willows Lodge in Woodinville, WA from January 31-February 1, 2015. Whether you have a glimmer of a book idea or a polished draft ready to send to an agent, this weekend retreat will be both practical and motivational. Attendees will be treated to insightful, hands on workshops to move their book project forward, as well as time to put new ideas into action and onto the page. Find out more here. 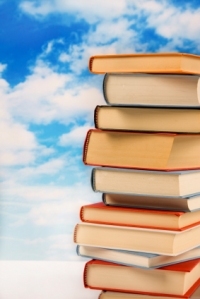 Do you dream of publishing a book, but aren’t sure what path to take—or even how to start? We’ve heard this a lot and we’re here to help. The good news is that it’s not that hard; in fact, it can be exhilarating, especially if you are guided and encouraged throughout the process! Start the new year by taking care of you and your book idea by coming to our one-of-a-kind retreat for women writers! Whether you have a glimmer of a concept or a polished draft, we have structured a weekend retreat to help you get published, no matter your genre. During this practical and inspirational weekend, you’ll be treated to hands-on workshops and receive individual attention to move your book project forward in a significant way. It all takes place at Woodinville’s acclaimed (and cozy) Willows Lodge, where distractions feel a world away. On Saturday, we’ll focus on your book project and crafting a proposal. After a state of publishing overview, we’ll settle into the agenda, offering up-to-the-minute intel about what publishers and agents do and don’t want from new writers. After lunch, we’ll guide you step-by-step on how to create a killer proposal in a hands-on workshop. You’ll have a chance to meet other writers over drinks and dinner from the Barking Frog, before gathering for a late-night writing jam in your pajamas. We supply the milk and cookies and writing prompts! On Sunday, we’ll turn our attention to the submission process and the ultimate goal of getting published. After an informal publishing chat and continental breakfast, get ready to brainstorm in a book marketing workshop. Fun exercises will result in a creative marketing campaign for your book and a solid author platform that you can present to publishers. We’ll end the day with an insightful and encouraging talk about submissions, query letters, and staying focused and motivated through the process. Retreat attendees can add on optional activities, including a Sunday lunch or spa treatment. A special room rate will be available for attendees who would like to arrive on Friday. We will be on hand Friday evening for an informal publishing chat and one-on-one time. Rates starting at $756.50 per person (excluding tax and gratuity) based on double occupancy. To make your reservation, please contact Kathleen Boyd at 425-424-2589 or via e-mail Kathleen.boyd@willowslodge.com.